Harry and Della Wilson are up against a challenge they cannot face alone. Harry needs the help of his family, friends and community in order to survive. He is a wonderful father and good friend to many. Harry suffers from Idiopathic pulmonary fibrosis and pulmonary hypertension. Due to the rapid decline of Harryâ€™s health he is no longer able to work or do many things that most of us take for granted. He is on oxygen full time and at this point, his only chance for survival is a lung transplant. 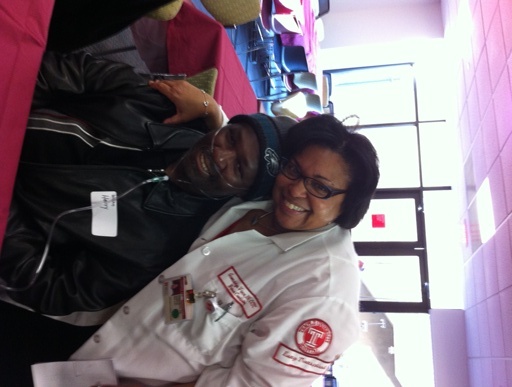 He is now actively listed for the transplant at Temple University Hospital. Through the gift of a transplant, Harry looks forward to someday returning to work and being an active member of the community. Transplantation is life-saving, but very expensive. Financing this procedure is a monumental task, a challenge we cannot meet without support. Even with insurance there are many pre- and post-transplant related expenses that are not covered and must be paid out of pocket. Some of these are co-pays, deductibles, and Harry will be on a life-time of anti-rejection medications. To help with these uninsured expenses, a fundraising campaign in Harryâ€™s honor has been established with HelpHOPELive, a nonprofit organization that has been assisting the transplant community for 30 years. All donations are tax-deductible, are held by HelpHOPELive in the Mid-Atlantic Lung Transplant Fund, and are administered by HelpHOPELive for transplant-related expenses only. Please consider making a donation today. On behalf of ourselves and our family, thank you for your kindness, generosity, support and prayers. Harry and Della Wilson Sr.